Before you read this review, it’s probably best that I note a few things. One, I’m new to Gowe’s music and not familiar with his alternative, experimental sound. Two, I’m not a hip-hop native – I am a huge fan of well-crafted Christian hip-hop and I’ve been following it for a while, but there are plenty of intricacies and styles that I just don’t understand. Lastly, since I’m from a different culture, occasionally hip-hop tracks just totally go over my head. I think it’s fair to give artists a lot of rope – just because I didn’t like it or understand it doesn’t mean it’s not art that others will appreciate. So with that in mind I need to honestly confess that I just didn’t like Gowe’s Music Beautiful much at all. But because I love my brothers (and sisters) in Christ who labour so hard over their craft, I will be very slow to make judgmental sweeping statements. But with the first notes in mind, we can look at the album itself. Christian hip-hop artist Gowe (Gifted on West East) has released his second album, Music Beautiful, a highly alternative and experimental record full of eerie synths, acoustic drums, and fast cryptic flows. This is the sound throughout the album and it doesn’t vary much – if experimental and alternative is your scene, you will appreciate it. The intro track Fighter jumps straight into the thick of it – Gowe rushes into his fast flows, reflecting on the race he is running for Christ. His flow is very fast and it was very hard for me to pick up the overall idea of what he’s saying; yet some lyrics resonated well. It’s a good encouragement to finish the race of our walk with Christ. He states, “If I never even make it home, on this road that I’m walking alone, I will never give up my soul, cos we’re fighters… Even if I can’t see your face… I will give it all just to say I’m a fighter”. Lavender continues this alternative sound – it sounds to me kind of like an empty football field located underwater. There is heavy echo, strings, a soft acoustic drum beat, and a very fast and confusing flow. He discusses nostalgia, love and loss. From My Window has a slightly different sound that is mostly a kind of sermon jam, with some rhyming commentary from Gowe. It is an interesting reflection on the role of the artist in society, and the deeper truths of life that only the artist can learn. It does build nicely musically but I still struggled to pick up the overall meaning and make sense of it all. Nothing is overdone musically; everything is quite soft and there are certainly no grinding trap sounds to be found on this album. Still, there aren’t many musical surprises either. The sound established on the first track – the eerie, acoustic, alternative sound is very similar all throughout, and doesn’t change much. The make or break point is whether or not you like this sound. I am certainly a big fan of alternative hip-hop – Gowe’s sound is kind of reminiscent of Beautiful Eulogy’s style, with alternative instruments and less grinding, bass-heavy tracks, yet he lacks the musical diversity and lyrical clarity needed to make it work. Take Me Home is probably my favourite song on the album – it is lyrically and musically more substantial. It is a reflection on deep tragedy – family suicide, pain, and persecution. The sisters HeeSun Lee and Sarah Lee were lovely features – beautiful soft melodic vocals that added an excellent depth that the album needed. I didn’t really know what to do with this album. There were snippets that I liked here and there but overall I was frustrated by how little of the album I could understand. Maybe there is an element of ‘lost in translation’ here – I’m not from the same culture, but usually I can work around this. I’m usually pretty good at picking up fast flows, but I think I understood maybe 20% of Gowe’s lyrics, and often the key message to understanding a song was lost on me too. Gowe’s lyrics contain lots of self-reflection on his faith, his musical influences, the role of his music as an artist, and other topics. I think the problem is that in terms of rap, just about every syllable was filled at an extra fast speed – I think even in a fast-paced medium like rap, less can still be more, if it means more clarity. He is certainly a talented artist and poet, and I do like some aspects of his alternative sound. It honestly pains me to give such harsh criticism, and I mean that. Yet I have an obligation to be honest about my own thoughts on it. Other lovers of hip-hop might pick up more than I did, but I’m afraid I just didn’t feel it. I give Gowe’s Music Beautiful two stars. 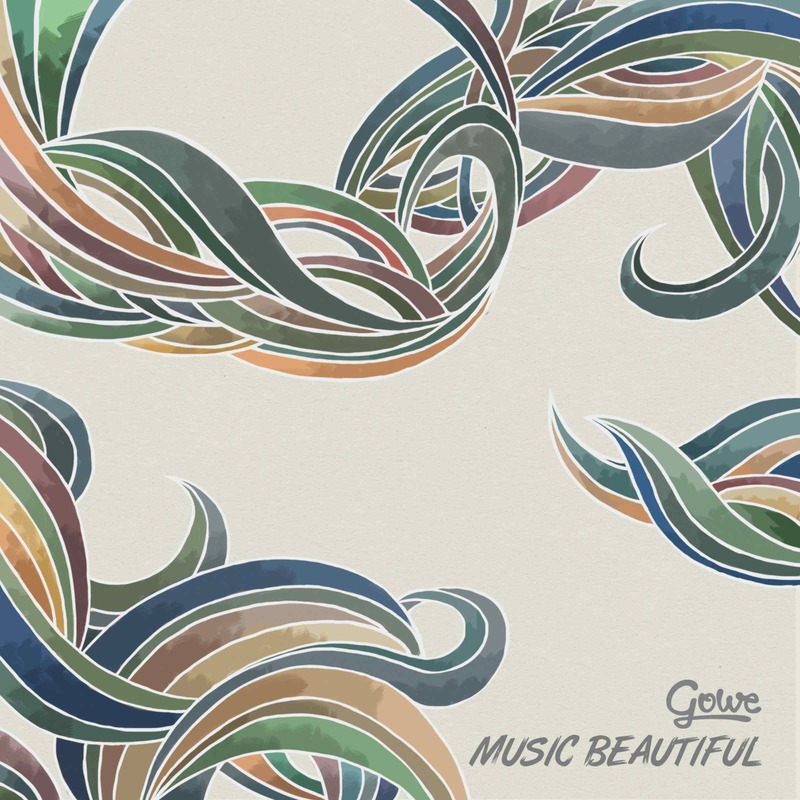 Music Beautiful by Gowe will be released Monday, 30th March and can be pre-ordered here. Posted in MusicTagged Album Review, christian, Gowe, Music BeautifulBookmark the permalink.